· Expected Attendance of over 13,000 Shoppers! Vendors! Don't miss this great weekend with lots of shoppers! · FREE ADMISSION!! 4 Great Days! · Attendance of over 15,000 Shoppers!!!! · Special Antique Section · 4 Days! FREE ADMISSION! 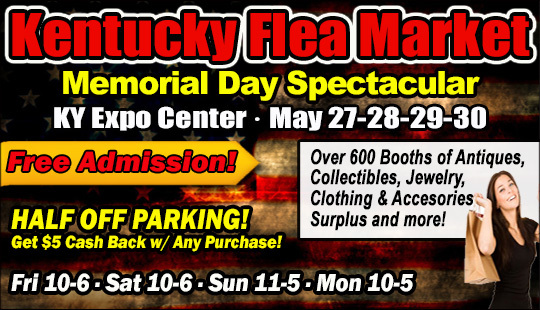 · Over 1000 Booths w/ over 300 Antique & Collectible Booths! · Attendance of over 25,000 Shoppers!!!! · Over 750 High Quality Booths with FREE ADMISSION! · Thousands of Christmas Gifts under one roof!! · Attendance of over 50,000 Shoppers!!!! · Free Pictures with Santa for ALL KIDS!!! FREE PARKING ON MONDAY 12/30!! · FREE ADMISSION!! Half Off Parking Saturday/Sunday! · FREE PARKING ON MONDAY 12/30!! · Over 1000 Booths w/ over 350 Antique Pavilion Booths! · Attendance of over 30,000 Shoppers!!! !